Plated offers three different plans with the option of two, three or four-people servings. With each plan, you can choose to order two, three or four recipes every week. When it comes to the variety of dishes offered, Plated has the upper hand, with 20 chef designed recipes available per week. This is regardless of the plan you choose! Since there are so many recipes to choose from, there is an incredible variety and almost anybody can find something that they would love to try. Some recipes are quite simple and easy to cook while others are a little more sophisticated and require more time to prepare. 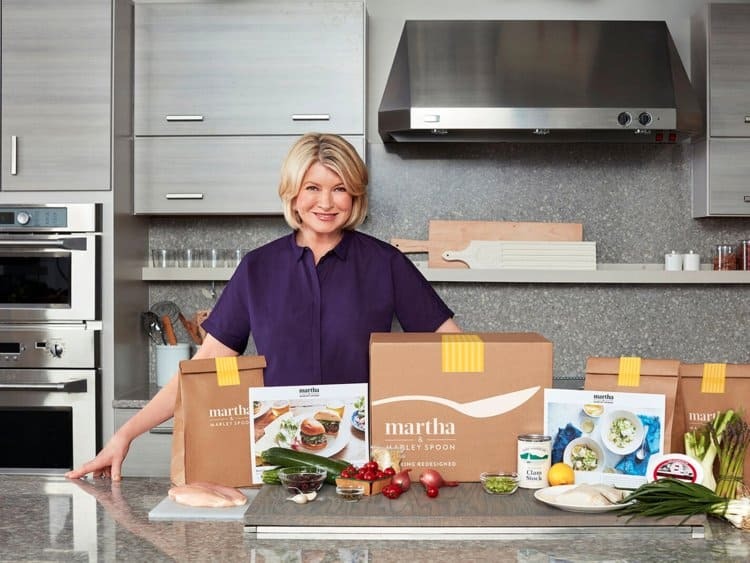 With Martha & Marley Spoon on the other hand, you get to choose from 10 different classic dishes every week, all taken from more than 18,000 of Martha’s favorite recipes. With both companies, you will find included within the selections, a variety of vegetarian, dairy free, low calorie, child friendly dishes and dishes that require a very short cooking time. You can rest assured with both these companies that you will always find something that matches your needs! We have cooked and tasted many meals from both Plated and Martha & Marley Spoon, and we were very pleased with both! The majority of the meals we tried were very good. We can say that the style of dishes is somewhat different between the two companies. Martha & Marley Spoon is more focused on the best quality classic home cooked dishes, with extra attention placed on including vegetables and greens in almost every meal. Also, it is worth noting that the Martha & Marley Spoon dishes all take around 30 minutes to cook and use very easy-to-follow recipes. 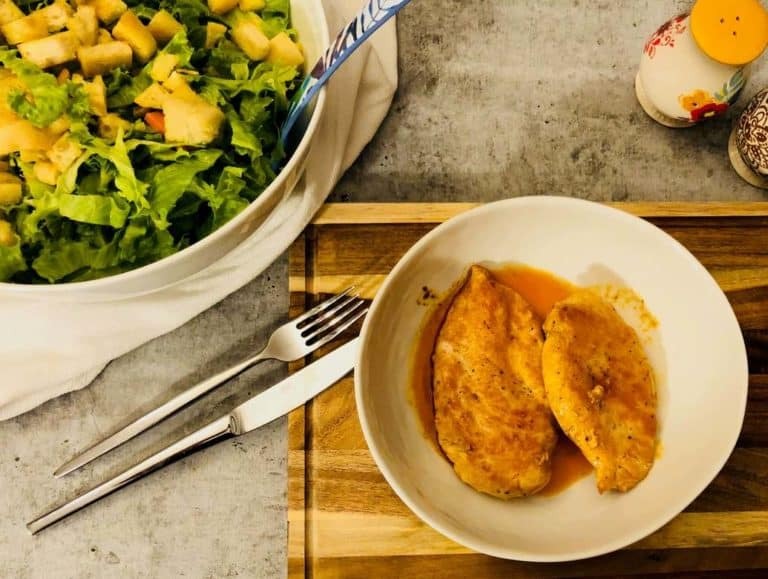 On the other hand, Plated appears to offer slightly more sophisticated cooking options among their very large selection of 20 weekly dishes, which is a lovely option to have if you are a fan of cooking. Click for our actual tests with Martha and Marley Spoon recipes and with Plated’s. From our experience, both Plated and Martha & Marley Spoon use high-quality ingredients in their meal kits. The quality of the products used by Martha & Marley Spoon is superb! Martha & Marley Spoon works directly with the some of the best purveyors to deliver high-quality ingredients like grass-fed beef, Berkshire pork, American-caught shrimp, artisanal cheeses, and so much more directly to your home kitchen. Alternatively, Plated provides 100% antibiotic-free meats, beef with no added hormones and sustainably sourced fish and seafood whenever possible. With both companies you will receive your meal kits in a specifically designed and labeled box. There is minimal sorting required as the contents of each box are very well organised, with each dish wrapped separately and labeled with the name of each dish. In Plated’s box the cooled items placed in the bottom of the box with ice. In the Martha & Marley Spoon box, all cooled items are placed in an separate cooling pouch made from raw, un-dyed cotton and filled with ice. Both are organised so that you can be confident that the boxes can stay outside safely for a few hours. Both Plated and Martha & Marley Spoon offers its customers well organized and easy to use websites and apps. You can register to use the service, choose your plan and weekly recipes, change recipes if needed, define eating preferences, and update your payment method. You can also find plenty of information on each dish – list of ingredients, the cooking process and time, nutritional facts and more. Both companies offer a subscription plan. At the same time, they do offer some flexibility such as the option to skip weeks if you need, even for a few weeks straight. You can also cancel the account whenever you desire with no cancellation fees. They also both offer a certain amount of flexibility in choosing your delivery day, depending on your residence location. Martha & Marley Spoon, offers a selection of two fiesta boxes – basically a kit that contains all you need to make an appetizer, entree, and dessert for a party of four or eight people. Plated on the other hand, offers a selection of two changing, delicious and easy-to-make desserts every week, at a cost of $8 each. We love that option and they are one of the only meal kit companies that offer a dessert option. This is something that we highly recommended trying! To be honest, both companies offer amazing meal kit service options. 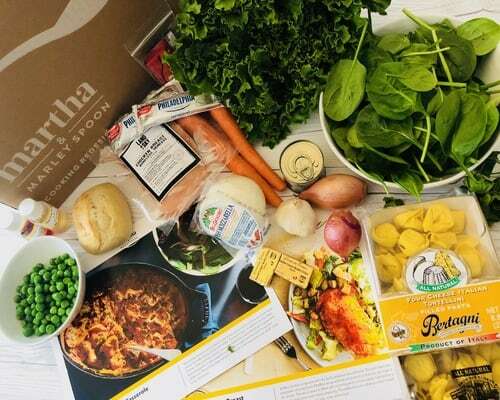 Both companies supply best farm fresh ingredients, but each company appeals to quite a different audience.If you are part of a family that’s looking for an enjoyable dinnertime with classic recipes, then Martha & Marley Spoon is the right option for you! 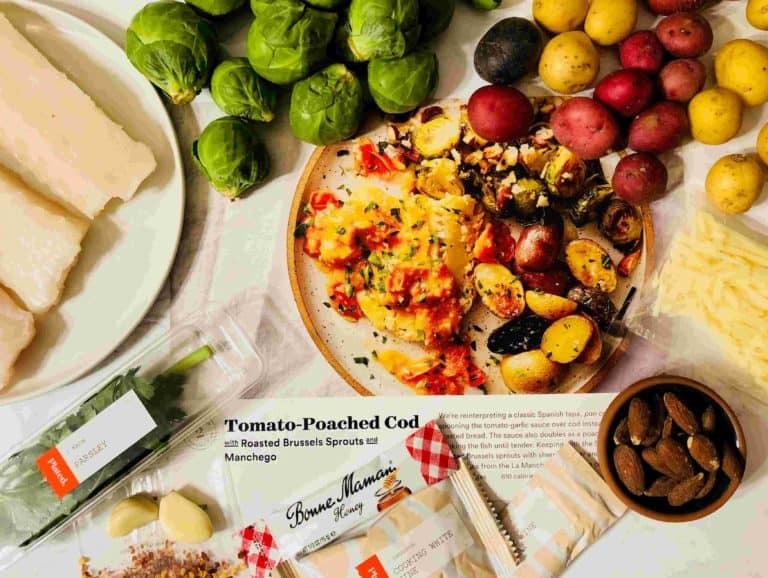 If you have the desire to explore new flavors and spices, while enjoying numerous options of real chef quality dishes for dinner in your home – then you should definitely go for the Plated meal kit service. For our team, Martha & Marley spoon is the winner in this battle.